I am grateful for this opportunity to introduce myself to you. I am excited about being in ministry with you for God’s glory, with Christ’s purpose and the Holy Spirit’s guidance. Back in 1988, I began to acknowledge and act on my call to Ordained Ministry. As a family, we continued to take huge leaps of faith as we left behind business careers in MA, a family Christmas Tree business in Norridgewock, and then our home to answer our call to serve the Lord. My wife, Heidi, began answering her call to ministry two years before I began the journey as well. With our sons, Nathaniel (age 6) and Brandon (age 1) our days at Bangor Seminary together were a wonderful blending of our rolls as parents, students and pastors. After high school, I attended a technical school in Boston, near where I grew up in Woburn, MA. 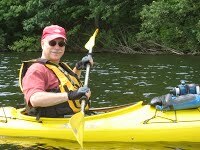 Prior to moving to Maine in 1979, I worked for a mechanical contractor designing heating and air-conditioning systems. To complete the additional education needed to answer my call to ministry, I found myself back in college during my 30’s earning a Bachelor of Arts decree in cultural anthropology with an emphasis on medical practices, at the University of Maine, Orono. My Masters of Divinity Degree was completed at Bangor Theological Seminary. Heidi and I grew up in nearby towns of Woburn and Winchester, MA. We first met in 1970 and married in 1975. We have been blessed with many wonderful years together. I find I often look back to see how God was weaving the fabric of what was to become these days of life in ministry together. While it seems like a long time ago and yet yesterday, when I worked in the fields of mechanical contracting south of Boston during my 20’s, or in Maine in the family Christmas tree and wreath business, or later as a materials manager in manufacturing, each of these settings of my life are now a part of my context as I engage in Christ’s work of pastoral ministry. My call to ministry came as the profound and confirmed answer to a simple but life altering prayer; “I am alive, so now what?” In 1981, I nearly died in an accident on the tree farm – run over by a tractor hauling a mower. During the weeks of multiple surgeries and months of rehabilitation, the prayer that began in wonder continued into a life of thanksgiving. As each new day was affirmed as a blessing, God’s healing became complete during the years ahead. What do I do for fun these days? Backpack hiking, kayaking, woodworking and stained glass work are among my interests…along with spending time with my family whenever we can get together. ﻿I have been blessed since my accident in 1981, with a new conviction and celebration for life; not only of my own life, but of my family; wife, children and all God’s beloved I have meet along the way while serving the Lord. Prior to my former appointment in CT, all my years in ministry have been in Maine. I’m coming home to the state I fell in love with many years ago! I have a passion for ministries of mercy like soup kitchens, food cupboards and hospice, and also a passion for ministries of justice connecting with people, both spiritually and economically, to begin transformation from what is, to what will be through the work of the Holy Spirit. While the road to a transformed, spirit-filled life is at times a long journey, we walk together as companions supporting and encouraging each other along the way giving God the glory. In June, Heidi will be completing her work as District Superintendent for the Connecticut/Western MA District and will be taking a year of sabbatical leave to listen for further clarity as to where God is calling her next in ministry. Both Heidi and I have also completed spiritual direction training, and felt blessed to be in healing ministry together over the years. Our sons are now married, and we are excited to have added two wonderful “daughters” to our family. I look forward to meeting you in July as we begin our time of ministry together in Belgrade. I am privileged to be in Christ’s service with you.